A THREE SPECIES MOMENT – GREAT EGRET, BLACK-CROWNED NIGHT HERON AND BLACKBIRD IN THE CATTAILS! Beautiful but fleeting surprise spring sighting at Bass Rocks this weekend- a male Red-winged Blackbird collecting cattail fluff for nest building, and two species of herons foraging, a Great Egret and Black-crowned Night Heron. Oh Joyous Spring! This entry was posted in Cape Ann Wildlife, HERONS, Life at the Edge of the Sea and tagged Agelaius phoeniceus, Ardea alba, Bass Rocks, Beautiful Birds of Cape Ann, beautiful Birds of Massachusetts, Black-crowned Night Herons, Great Egret, Nycticorax nycticorax, Red-winged Black Bird on April 16, 2019 by Kim Smith. 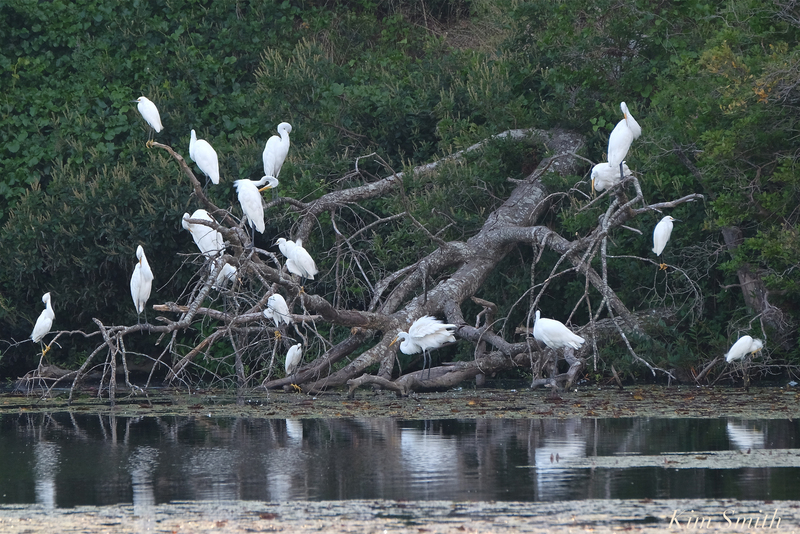 A congregation of egrets has many collective names including skewer, siege, sedge, wedge, and congregation. I like the names siege and congregation and the above photo shows a siege of Great Egrets and Snowy Egrets preening after a day of fishing at the Jones River Salt Marsh. 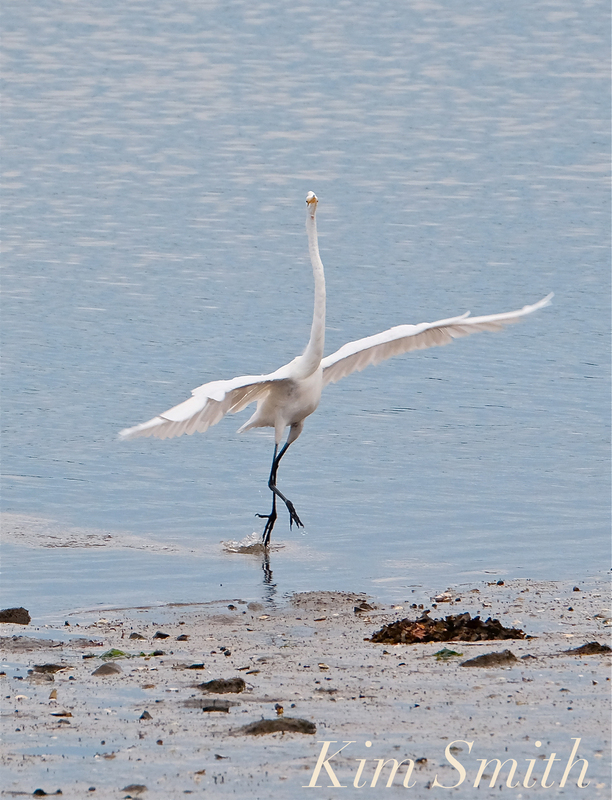 This entry was posted in Birds, Cape Ann Wildlife, Life at the Edge of the Sea, shorebirds and tagged Ardea alba, Beautiful Birds of Cape Ann, birds of Massachusetts, birds of new england, congregation, Egretta thula, Gloucester Ma, Great Egrets, Jones River Salt Marsh, sedge, shorebirds of Massachusetts, siege, skewer, Snowy Egrets, wedge, what to call a group of egrets on October 5, 2018 by Kim Smith. Don’t mess with these bad boys! Tussles over turf pop up regularly between the egrets and herons feeding in the marsh. They often conglomerate in one small area to fish for minnows, occasionally steeling a catch from one another, and there is always one who seems to be the big kahuna of the marsh. 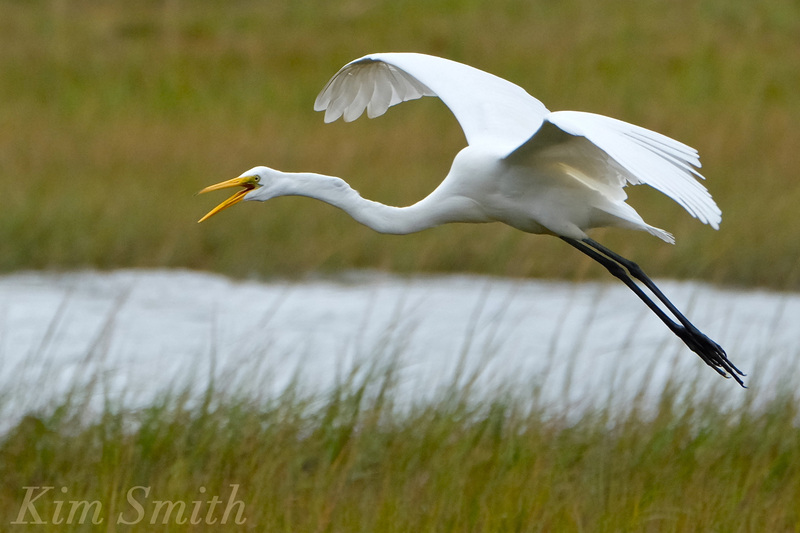 This entry was posted in Birds, Birds of New England, Life at the Edge of the Sea and tagged Ardea alba, Beautiful Birds of Cape Ann, birds of Massachusetts, birds of new england, Great Egret, Great Egret battle, Great Egret fight, great egret in flight, Great Egret vs. Great Egret on October 2, 2016 by Kim Smith. Often asked this question, I thought it would be helpful to post the answer again, especially at this time of year when we see numerous numbers foraging in our marshes and along the shore. Both species of birds breed on Cape Ann and the coast of Massachusetts. The first clue is size. 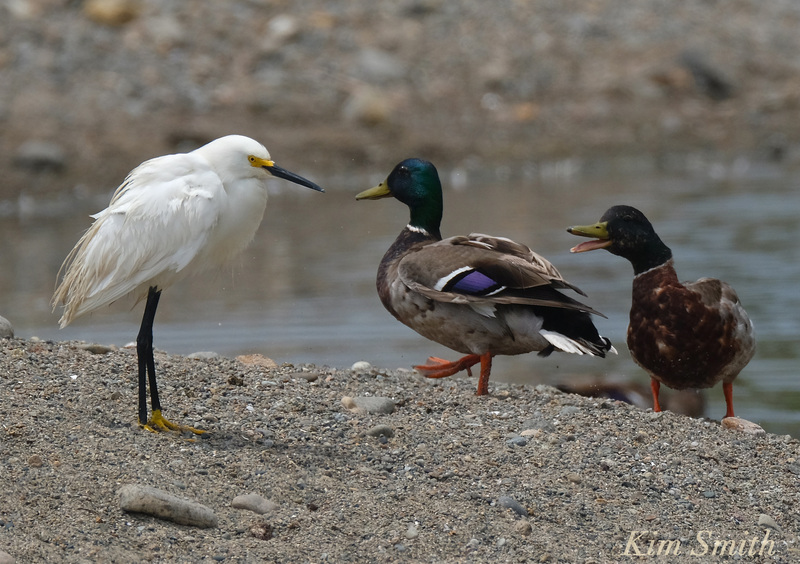 Snowy Egrets are small, about the size of the Mallard Duck. Remember the letter S for small and snowy. 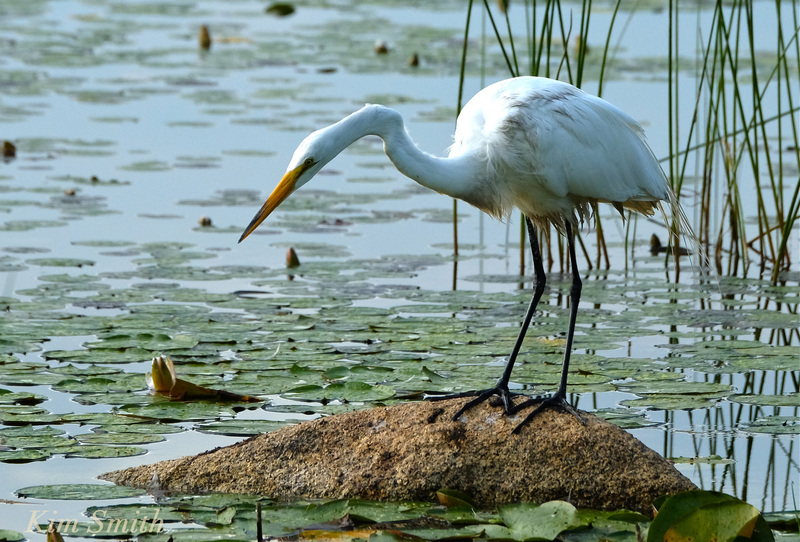 Great Egrets are much larger, nearly identical in size to that of the Great Blue Heron. 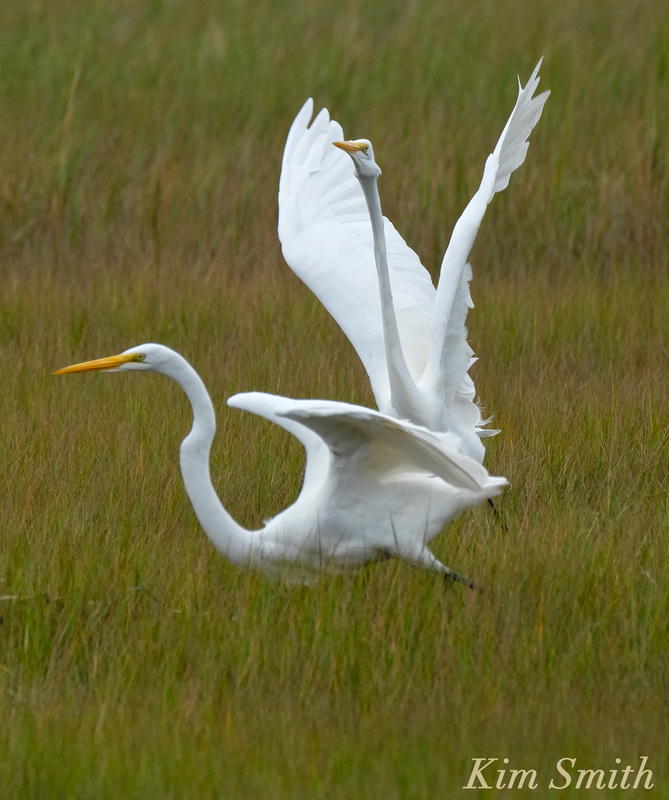 Great Egrets have black feet and yellow bills. Snowy Egrets have reverse coloring, yellow feet and black bills. 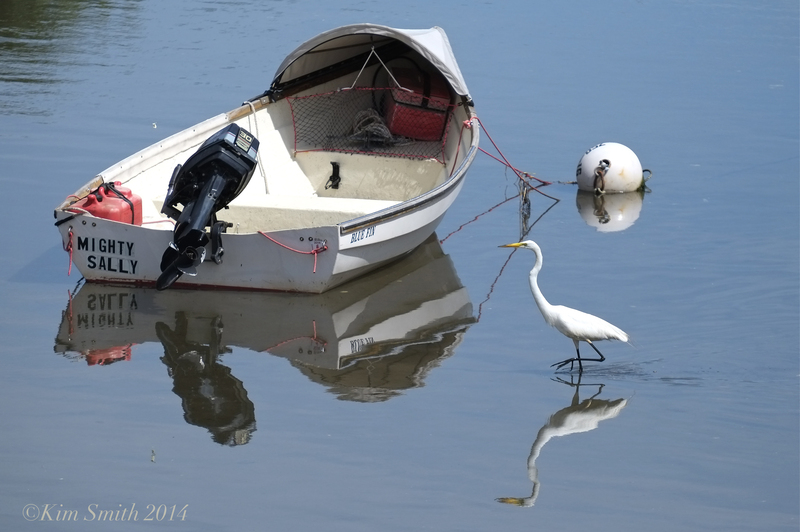 Great Egrets stand very still while fishing. Snowy Egrets are wonderfully animated when foraging; they run quickly, walk determinedly, fly, and swish their feet around to stir up fish. 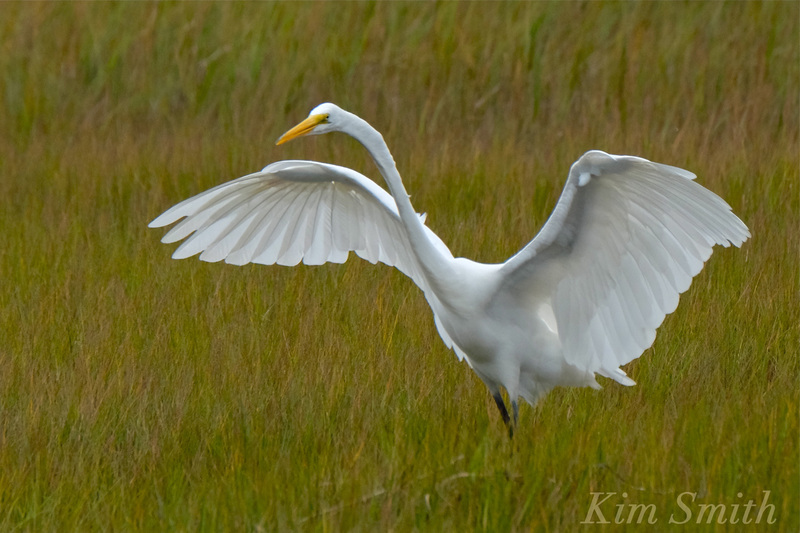 This entry was posted in Birds, Birds of New England and tagged Ardea alba, Beautiful Birds of Cape Ann, birds of Massachusetts, birds of new england, Egretta thula, Great Egret, Henry’s Pond, Massachusetts Shore birds, Niles Pond, Snowy Egret on July 7, 2016 by Kim Smith. 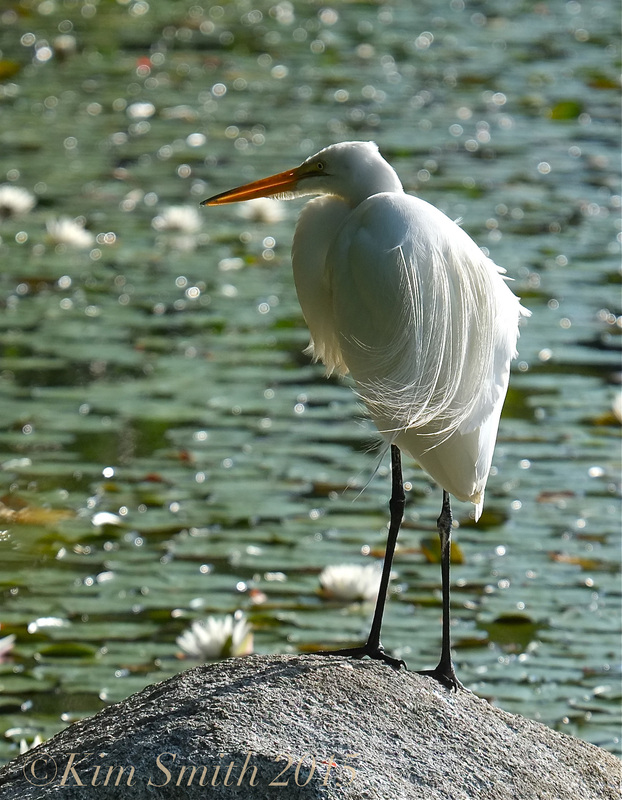 During the breeding season, Great Egrets grow long feathers from their back called airgrettes. The airgrettes were the feathers sought by the 19th and early 20th century plume-hunters for the millinery trade. 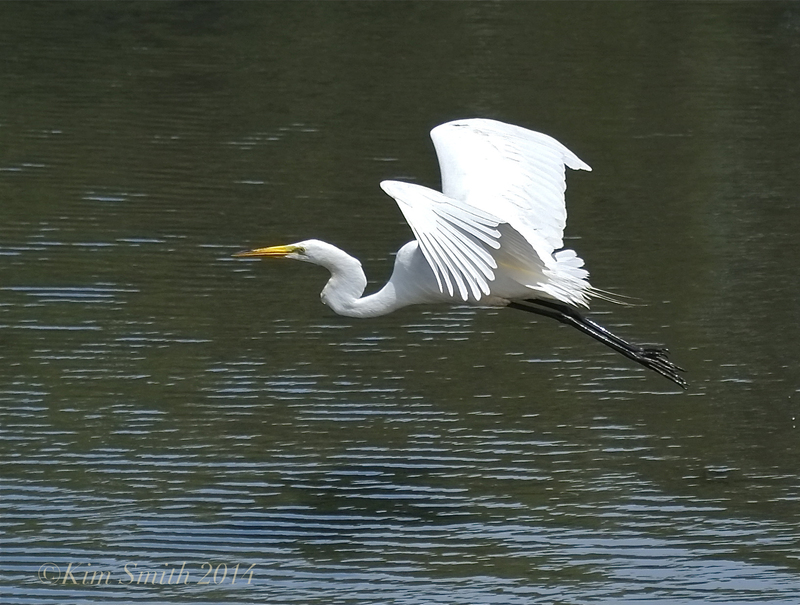 The magnificent Great Egret was very nearly hunted to extinction during the “Plume Bloom” of the early 20th century. 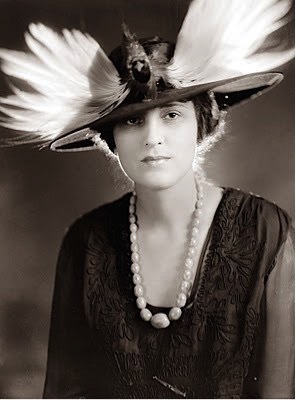 Startling, cumbersome, and hideous, hats were fashioned with every manner of beautiful bird feather. Europeans were partial to exotic birds that were hunted the world over and they included hummingbirds, toucans, birds of paradise, the condor, and emu. 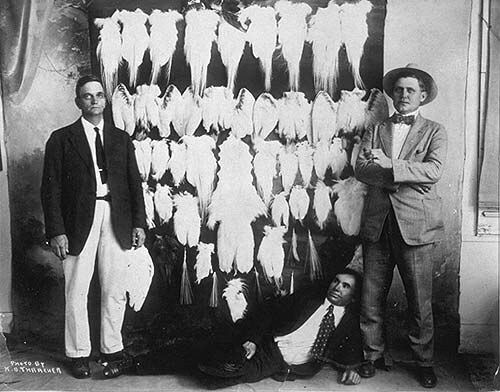 The American milinery trade favored herons for their natural abundance. 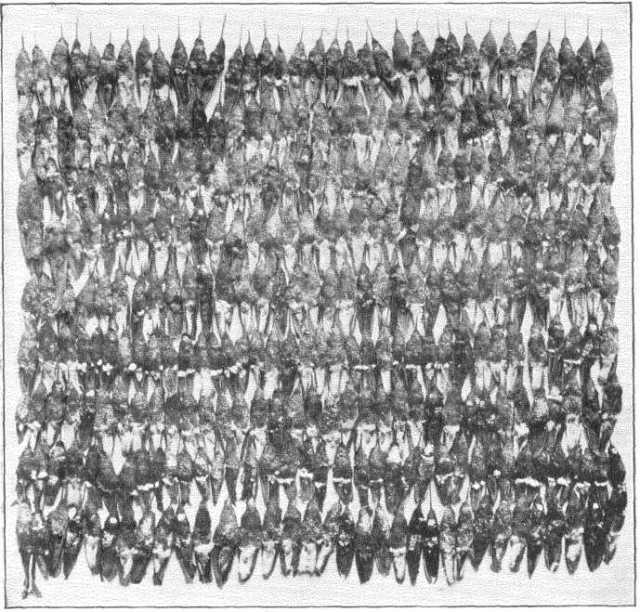 The atrocities committed by the murderous millinery led to the formation of the first Audubon and conservation societies however, what truly led to saving the birds from extinction was the boyish bob and other short hairstyles introduced in about 1913. The short cuts could not support the hat extravaganzas, which led to the popularity of the cloche and the demise of the plume-hunters. 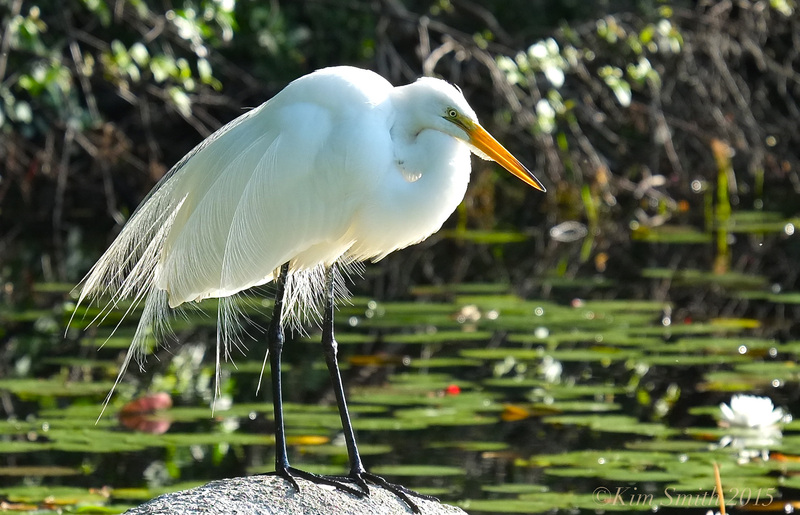 This entry was posted in Birds, Birds of New England, Life at the Edge of the Sea and tagged Ardea alba, birds of cpae ann, birds of Massachusetts, egret airgrettes, Great Egret, Kate Middleton, Niles Pond on July 28, 2015 by Kim Smith. 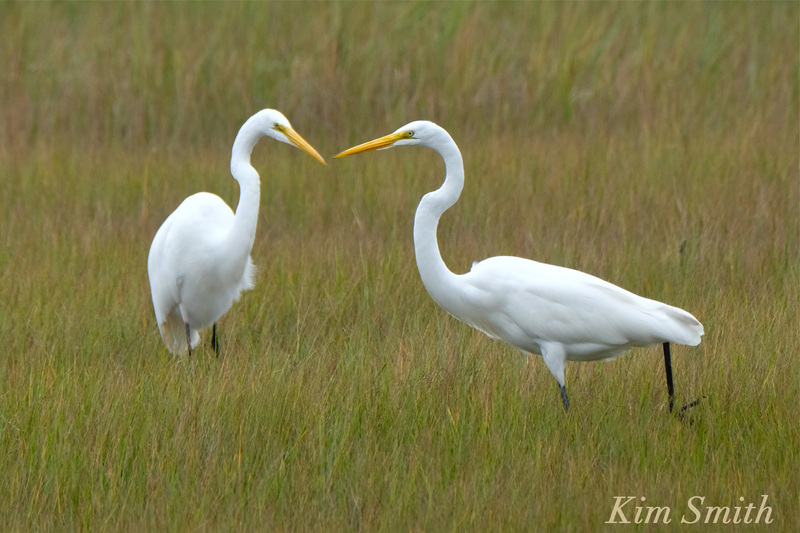 A quick and easy reference on how tell the difference between the Snowy and Great Egrets, both white and both often times found feeding in the marsh and tide pools together: The Great Egret is greater in size and has a bright yellow bill, with black legs and black feet. 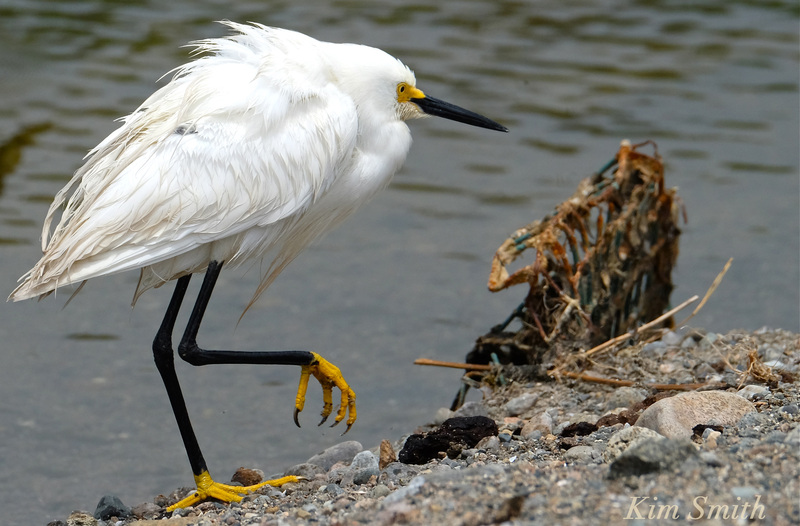 The smaller Snowy Egret has the opposite markings, with unmistakeable cadmium yellow feet and a black bill. In the above photo taken this morning, the egrets were too far away for my camera’s lens to get a really clear picture however, when cropped, you can see a side-by-side comparison. 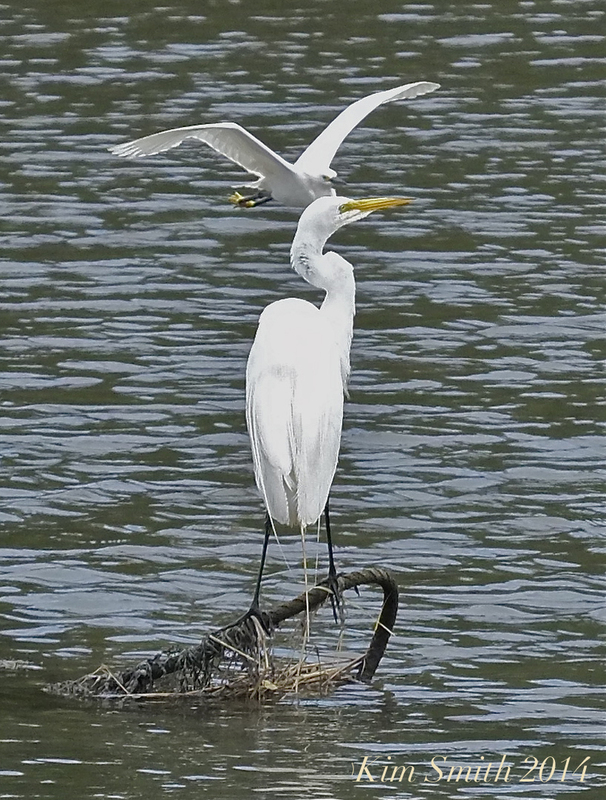 The Snowy Egret, with black bill and bright yellow feet, is flying in the background and the Great Egret, with black feet and yellow bill, is perched in the foreground. 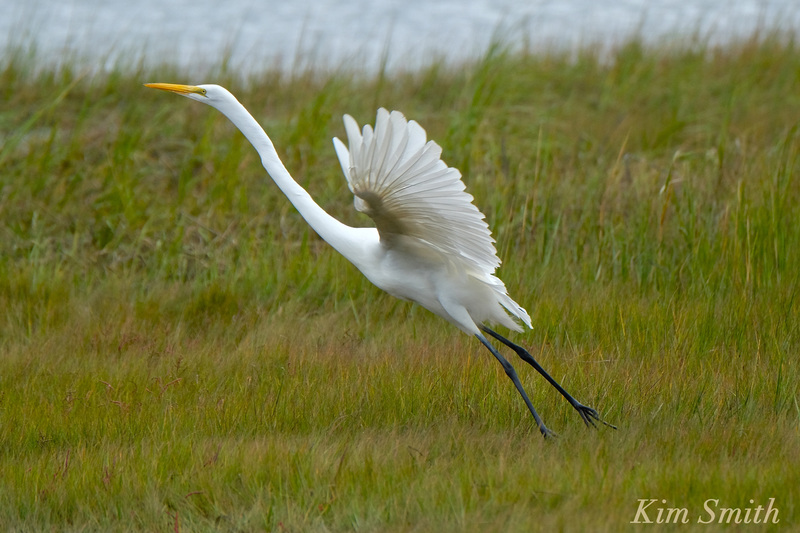 This entry was posted in Birds of New England, Cape Ann, Life at the Edge of the Sea and tagged Annisquam, Ardea alba, birds of cape ann, birds of Massachusetts, Egretta thula, Gloucester, Great Egret, great egret in flight, Lobster Cove, Snowy Egret on July 20, 2014 by Kim Smith.